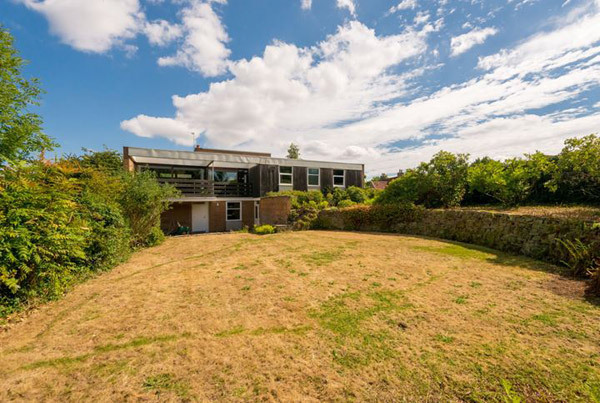 Specifically in the suburb of Colinton, this 1960s modernist time capsule in Edinburgh, Scotland is a rare gem. Sadly, I don?t know anything about its past or who was responsible for the design. But I do know little has changed over the decades and or fans of originality, this is one to see. But this house isn?t listed and original detail doesn?t really count for much if someone wants to build a new house in what?s described as a ?desirable residential area? close to the Scottish capital. Let?s hope for the best. In fact, let?s focus on the house itself and all of its positives. You will find it on a ?large garden plot?, with the house an individual design over two floors, complete with a balcony area looking out over that garden.